• It still shocks us when people ask the question “Kaytra who?”, as if this guy has not been a musical force for the indie sound in the last two years. It’s fair to say that if you are unaware of the great musical releases from the past Kaytranada time-periods, we really cannot expect you to be as fanatic about any of his un-timely releases as we are. Kaytranada has earned his cult-like following through his transparent disposition and unique ear for patterns and sounds. The Montreal based producer has set a record for most listens in a night as he recently went on a musical release binge and dropped 8 tracks over a night. True fans sat up at 3 a.m to bump each song as Kaytranada took it back to the old days with his selection of samples. If titled as a mixtape it would only be right to refer to the collection as “House Party X“, for it samples from some of the hottest tracks from the 90’s and pinpointed that cool summer cookout feel we all remember (80’s babies that is). The whole collection’s vibe consisted of high-top fades, Coogi sweaters, Reebok pumps, and leather everything. Like being on the set of a Kid & Play video shoot. Apart of this listing are tracks like “Nobody Beats The Kay” & “I’ve Got Your” are the premier tracks hosting the great late sounds and samples. 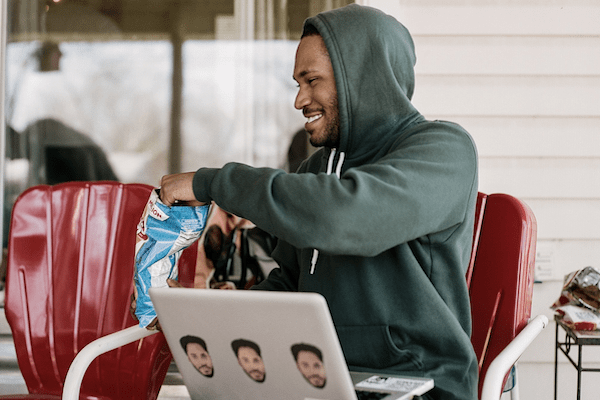 With things looking up for the Haitian born talent, Kaytranada understands that fans have to be feed if they are going to continue to support and he prepared a feast. All music lovers will appreciate the subtle use of classic sounds that are turned into upbeat and useful tracks by such a producer. ENJOY ALL 8-TRACKS by KAYTRANADA BELOW!